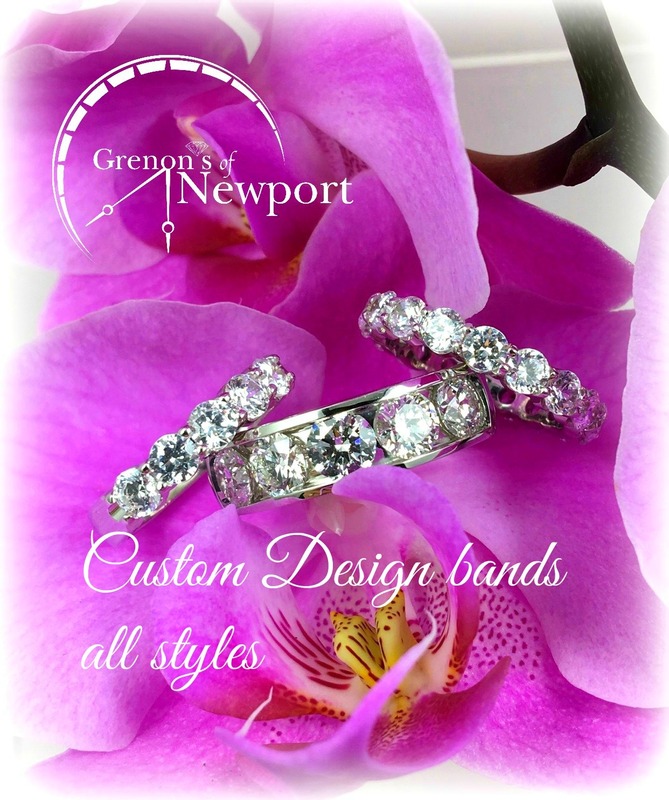 At Grenon’s of Newport each special piece of jewelry is custom made around your diamond or gemstone of choice. This insures that your design is of the highest quality and craftsmanship and will continue to be cherished for many years to come. 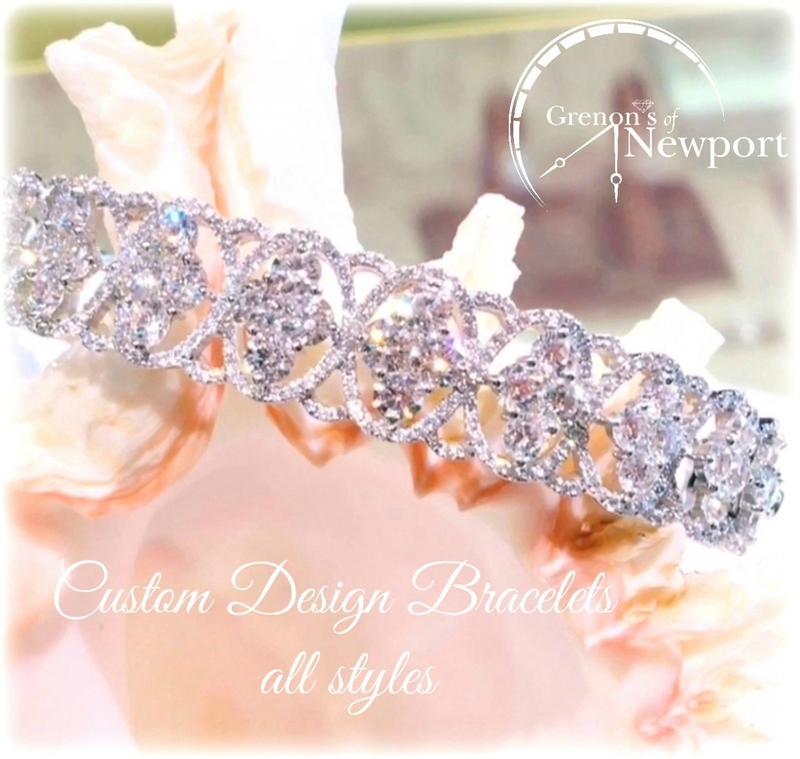 We welcome you to stop by if you are in the area and browse our beautiful jewelry cases for inspiration for your future custom design. We pride ourselves on having the latest jewelry technology for creating your next piece of heirloom jewelry. 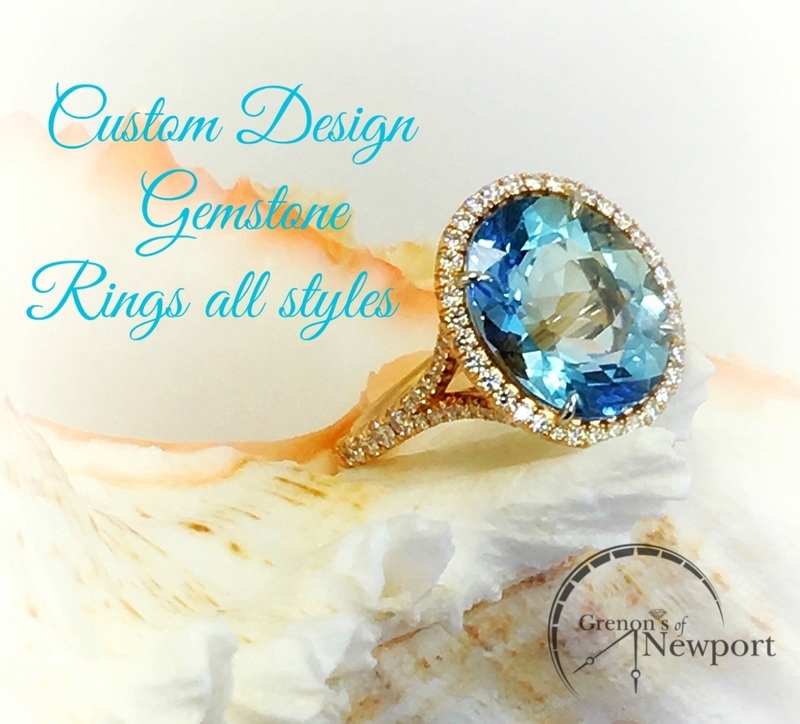 Whether you would like to incorporate diamonds or gemstones that you currently have in another piece of jewelry, or you would like us to start from scratch and hand pick your new gemstones or diamonds, we have the expertise to make this happen. 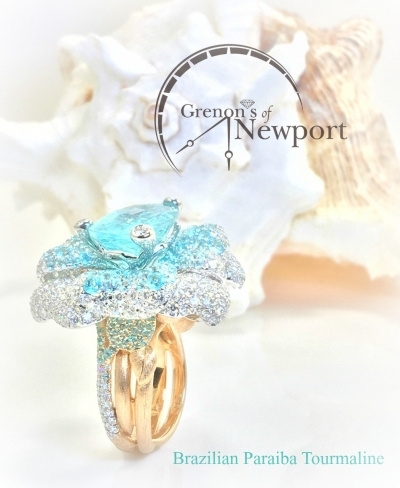 3D CAD DESIGN: We specialize in 3D Computer Aided Design (CAD) which allows us to build your design in a virtual world before it is custom made in platinum, white gold, yellow or rose gold. This has enabled us to reach our international customers with ease allowing them to view their creation before it arrives at their doorstep. HAND ENGRAVING: We also have the ability to custom make hand engraved filigree rings which are built around your favorite diamond or gemstone. This is a meticulous process which can take weeks, but the detail of the finished product is unforgettable. With such talented hand engravers we also do many pieces which incorporate family crests or company logos. From cufflinks, to signet rings that can be used as a family seal, pendants, and much more! WAX CARVING/HAND MADE CUSTOM: We also use the art of wax carving if that is the route to take depending on the goal of your design. 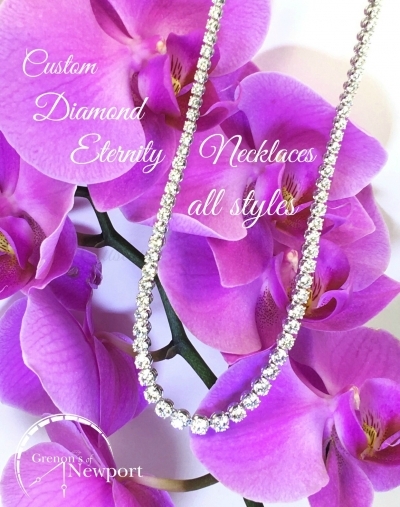 Or we also hand make your new piece of jewelry forming it from platinum or gold, whichever you prefer. 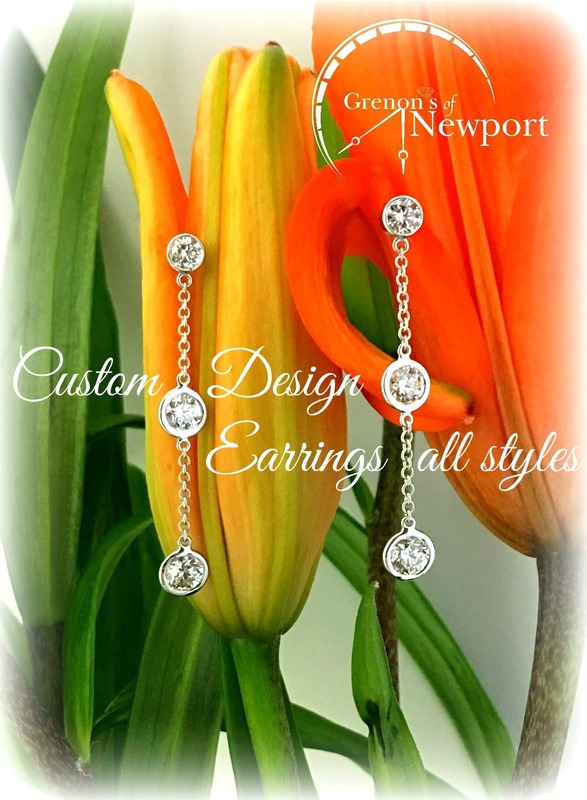 All of our custom pieces are proudly made in the USA by our talented jewelers. Each one is created according to your exact center piece of choice from the ground up according to your exact finger size. This ensures the strength and durability of your custom design. All of our diamonds are conflict free and come from sources that are full participants of the Kimberley Process. As for the precious metals, we use only earth friendly refineries and use only recycled precious metals. We do not use mined metals that cause pollution and destruction to the environment. 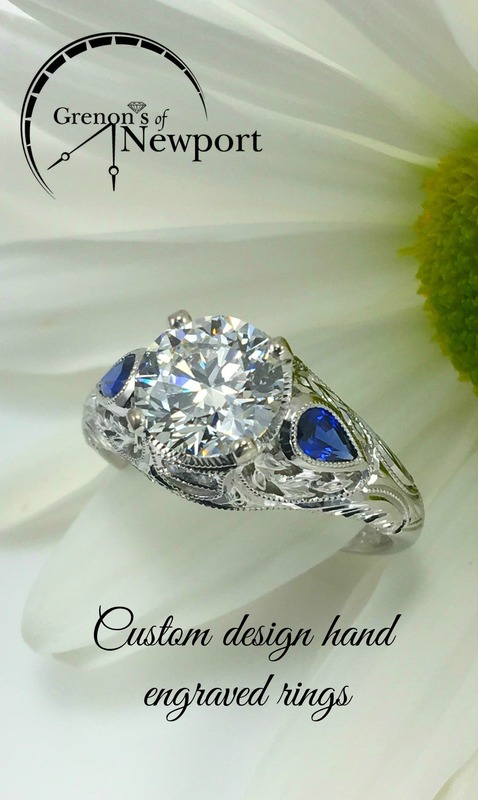 Jewelry is a very special item and you should know exactly where your ring is made and feel confident knowing that it is proudly made in the USA! If you have any other questions please let us know and we will be happy to help! 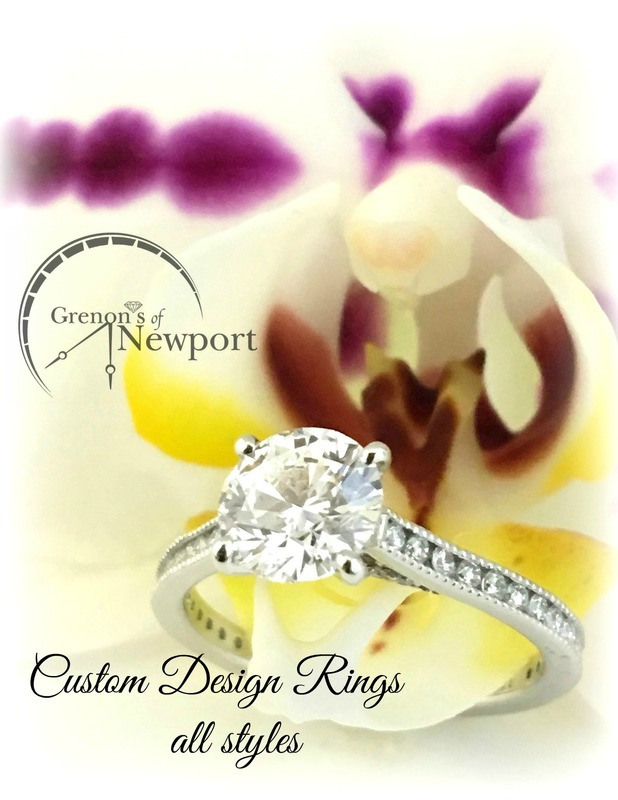 Please call us 401-846-0598 or email grenonsofnewport@gmail.com to schedule a consultation with our jewelry experts. Or visit us and we can quickly show you how we can change and update designs right before your eyes. If you already have stones that you would like to incorporate in your new design bring those with you and we can use these sentimental stones in your new design. Your only limit is your imagination!